This morning I came across a great deal on a buffer! This is on the Carl Martin Buff Deluxe, which is a dual buffer (don’t come across that often) with dedicated tuner out. First, I wanted to talk about buffers. If you’re not familiar with buffers, check out this post – “Let’s Talk about Buffers” – first and then come back. Buffers are great for getting a solid signal, and often should be first in your pedal line. It’s important to note that some pedals hate buffers (which is a matter of taste). Often fuzz pedals have a hard time with the impedance, so experiment with placement that works for you. Dual high quality signal buffer from high to low impedance with a tuner out and mute switch. The Buff Deluxe is designed to run in conjunction with large multiple effect boards with a lot of “true bypass” effects. The problem with the use of “true bypass” effects is that the guitar signal remains high impedance, resulting in high note loss due to the many feet of cables running at the pedal board, and not the least from board to amplifier. Ok, now to the deal. And if you want this, you need to jump on it. At the time of this post.. there were only 3 units in stock, and the price can jump/change when the unit count drops. 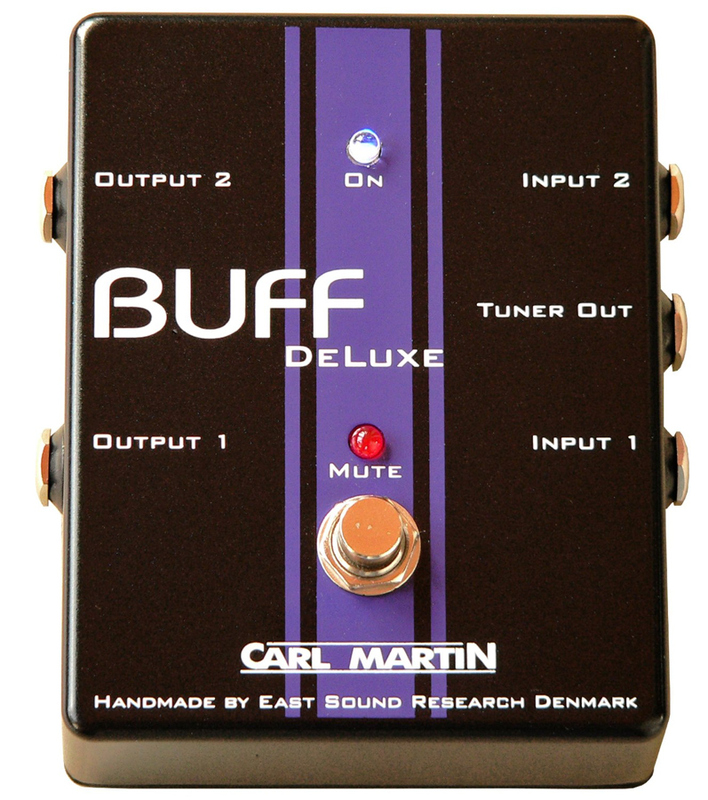 The Carl Martin Buff Deluxe Dual Buffer lists for $278, and is usually on sale for $194.60, but is currently on sale at Amazon.com for a crazy low price of $72.66 and includes FREE shipping. Um.. that’s $122 off regular price. No brainer.